The SXSW Interactive Festival finalists names are out for the sixth annual SXSW Accelerator competition presented by Oracle. The activities take place the weekend of SXSW Interactive, March 8-9. 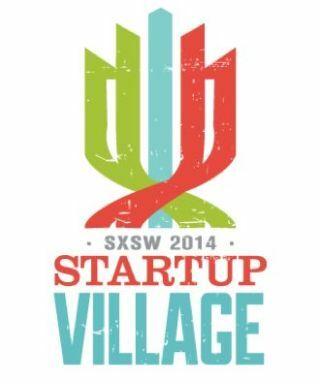 SXSW Interactive Festival’s Startup Village brings together startups from around the world to present their innovations to a live audience and panel of experts including entrepreneurs, venture capital and angel investors, and industry influencers. This year’s 48 finalists were chosen across six categories, including: Enterprise and Big Data Technologies, Entertainment and Content Technologies, Health Technologies, Innovative World Technologies, Social Technologies, and Wearable Technologies. SXSW Category Sponsors include Rackspace, Enterprise and Big Data Technologies Category Sponsor; and IBM, Innovative World Technologies Category Sponsor. On Saturday, March 8th, 48 finalists will pitch their innovations in front of a live audience for the opportunity to be one of the top 18 companies invited back to the stage on Sunday, March 9th, when a new panel of judges will hear their pitches and select the grand prize winners for each category. These winners will be announced and honored at the SXSW Accelerator Awards ceremony, occurring on the fourth floor of the Downtown Austin Hilton on Sunday evening, March 9th, immediately after the pitch competition concludes. “Over the past five years of companies competing in SXSW Accelerator, 56% have gone on to receive funding in excess of $587M and 9% of the companies have been acquired, so the judges are looking for truly innovative companies to raise the stakes,” said SXSW Accelerator Event Producer Chris Valentine. The winners will receive two Interactive badges for the 2015 SXSW Interactive event, various SXSW Accelerator sponsor gifts and, most importantly, the opportunity to receive exposure to the SXSW audience looking out for the latest in cutting-edge technology.